Mount Airy Contemporary Artists Space is pleased to collaborate with Allens Lane Art Center and to present works by the Northwest Artists' Collective. Opening Reception at Mount Airy Contemporary Artists Space Friday, September 24th 2010, 6 to 9 PM Gallery is open Saturdays 12 PM to 4 PM and by appointment. Closing Reception at Allens Lane Art Center The Carolyn Fiedler-Alber Gallery Friday, October 22nd 2010, 6 to 9 PM Gallery is open Monday - Friday 10 AM to 5 PM, and evenings and weekends by appointment. All artists will be represented at the Allens Lane Art Center portion of the show. Due to space limitations, only those artists listed with an asterisk* will be shown in both locations. The Northwest Artists’ Collective is group of over twenty painters, sculptors, print makers, photographers and fiber artists living and/or working in Philadelphia’s Northwest corridor of Germantown, Mt. Airy and Chestnut Hill. The Collective members are professional artists who participate in the Philadelphia Open Studio Tours (POST) and have had extensive group exhibitions in the Philadelphia area since their inception in 2005. Since its founding in 1953, Allens Lane Art Center has been a cornerstone of the Mount Airy community by bringing the residents together to participate in and enjoy the arts. Allens Lane Art Center, in addition to being the home of the Carolyn Fiedler-Alber Gallery, has an active education program providing art classes for children and adults, and The Allens Lane Theater, dedicated to producing purposeful, challenging, and unique theater experiences centered around contemporary human issues which reflect the diversity and complexity of the Mount Airy community. 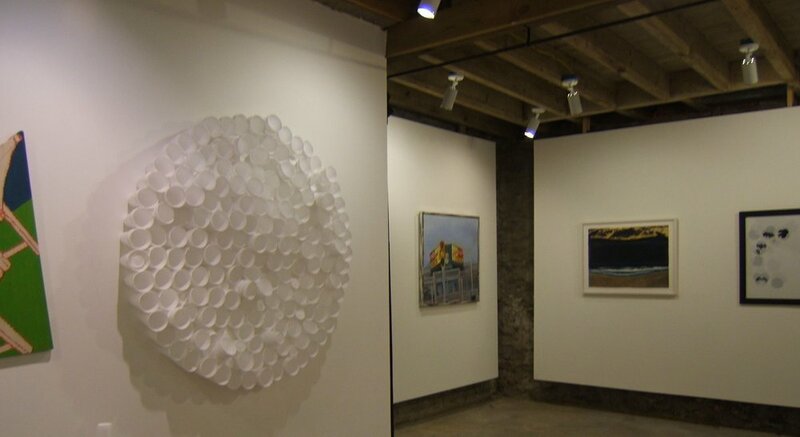 Mount Airy Contemporary Artists Space is an artist-run exhibition space in northwest Philadelphia. We mount shows that emphasize connections between art communities and networks between artists. To that end many of our shows involve exchange exhibitions with other like-minded artists spaces and guest curatorial projects. We are pleased to be able to work with Northwest Artists’ Collective and Allens Lane Art Center for this exhibition.